Arriving now in Kiev will be perhaps a little easier, bon voyage!!! 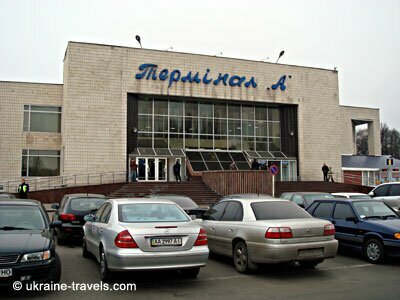 We are at terminal B of Borispyl airport in Kiev, the big international airport. Leaving terminal B to go to terminal A reserved for internal flights. The arrival area, always full of pseudo taxi-drivers. The hall of terminal B, the waiting zone. Ticket control before embarkation, in the background the check-in of various companies. Past passport control, departure area embarkation gates. Smokers and refreshment area, very nice, European prices but not excessive. The new Gates opened in March 2006. The square in front of Borispyl airport. This view is from the first floor in the beauty free zone.